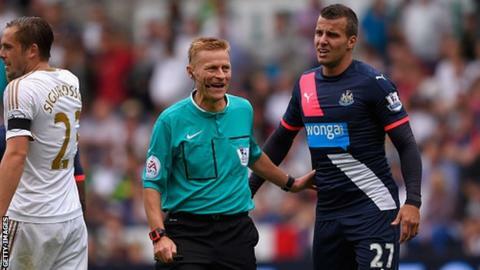 Newcastle centre-back Steven Taylor has been ruled out for a couple of months after surgery on a hamstring injury. Taylor, 29, has missed Newcastle's last two Premier League fixtures and boss Steve McClaren said he required an operation to solve the problem. "He's had a small operation to repair the damage. Unfortunately it looks like he'll be out for a couple of months," McClaren told the club website. Taylor is Newcastle's longest-serving defender having made his debut in 2004. Newcastle are winless in the league so far this season and host Sheffield Wednesday in the League Cup third round on Wednesday.